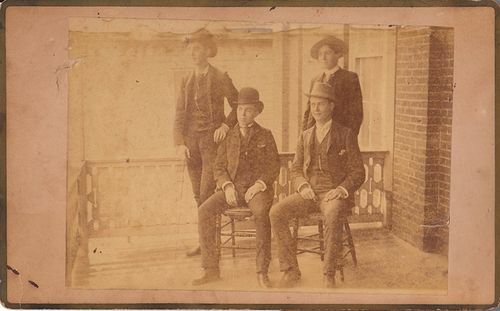 Standing, Frank Coffey, left, and Fay Reed; sitting, William Reed, left, and Wallace Ferguson. The Reeds and Fergusons had been business connections in Fayetteville throughout the latter half of the 19th century. The undated photo was taken by S.W. Spangler of Carthage, Mo.